I hope to borrow this off lamson soon! I know this author and his book have been talked of in derogatory terms for years, but can it be correct that only two other people have an opinion on the book or even a copy of it? That could be true Fruity, I looked for one on ebay and Amazon today, only 3 copies found starting at nearly £40 and going up to nearly £60. It makes up for all the years it has been unappreciated and been given away for peanuts! Perhaps a reprint will come about. I found it interesting in parts but not particularly inspiring at the time. I will have to re-read it sometime to see why so many people rate it highly. Although his approach is methodical, thoughtful and specific, he also has a general/play the percentages approach. While I do not agree with his general approach, in fact I don't agree 100% with any author, he certainly knew about salmon and understood them to a degree most anglers/authors miss. I'm currently ploughing through it. Graham your right ,the writing style is a bit flat, certainly lacks the Falkus esprit. I suspect that all that is fundementally innovative about this book is challenging the cast in stone fly size to water temp issue.Additionally, the use of shooting heads, nymphs and surface fly are described . At the time I guess a lot of this was highly innovative. This is not to denigrate the book, more to do with that by the time it was written most of it had already been said. From a purely instructional perspective the budding salmon fly fisherman could do a lot worse. Also, good to see Grant wasn't on piece rates, he got it all down in 150 pages. I liked it, because it contained some straightforward, but slightly unorthodox ( for the time) advice. Things like fishing a smallish fly subsurface at dusk in early spring . The assumption that dusk dawn and nightime proper are the best time in high summer low water. 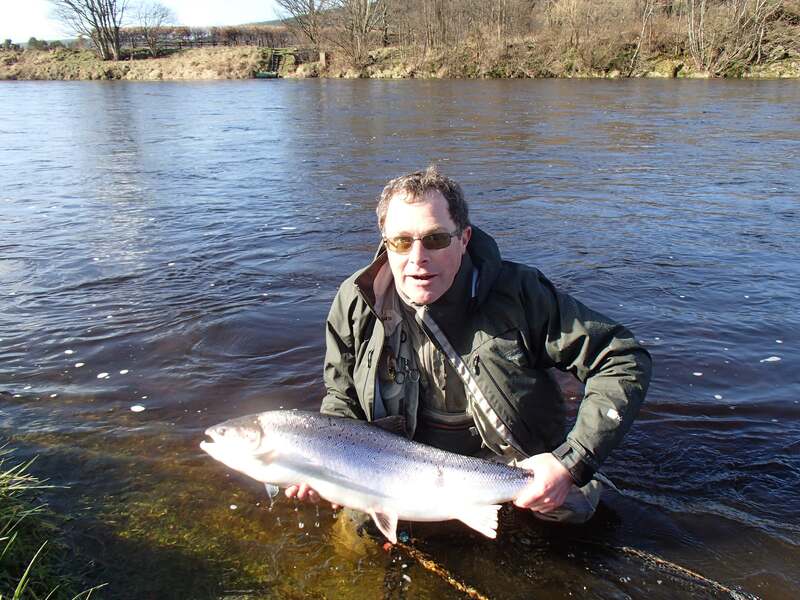 Not being lucky enough to live in an area where there is a vibrant, living salmon fly fishing culture, and having grown up in a very different angling tradition, it made very interesting reading. Certainly compared to some of the 'best sellers'. I've just reread bits of this book for a second time. I'll try and come back to the very dull bits in the future because it is clear from the book that the bloke was intelligent, observant and had spent a LOT of time on the water and knew his stuff. I'm new to salmon fishing and I found this book useful. I had an interesting chat with Dave Gibbon, last May. Who knew Francis T Grant personally from his days on Carlogie and Ballogie and had a few interesting tales about Mr Grant. Been hoping to read this book, but can never seem to find a copy to buy. Anyone willing to part with their copy, even a short term loan would be appreciated. Say... local library is a good place to start. If they don't have it there they will usually get it delivered from another branch. You can also search online yourself and order it if you have an account with your 'local'. (library). As well as that, if you haven't finished the book and it is due back you can go online and reissue it to yourself for another 3 weeks etc. Just now I am reading Falkus. There was a copy on ebay recently, advertised at £100. ............and I've just won a copy on ebay for £2.87!!!!!!!!!!!! I've only dipped into various parts of this book so far, but my initial impression is very good. Much of his approach seems to be standard fare nowadays, but I believe it was innovative at the time of writing. The chapter "Anatomy of a Day on The Dee" (Ballogie) was certainly an eye opener for me. 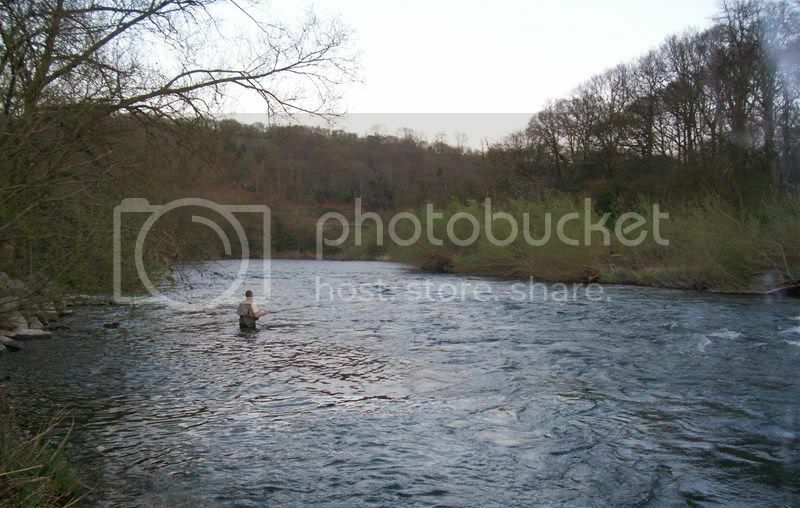 11 May 1989, lowish water at 48F, and he's catching on a 2" brass tube and a full sinker! OK, the air temp was 39F, but I suspect most of us would have been fishing size 10s on a floater/polyleader. 1) I can assure you he was villified at the time, but he was right and years ahead of his time. 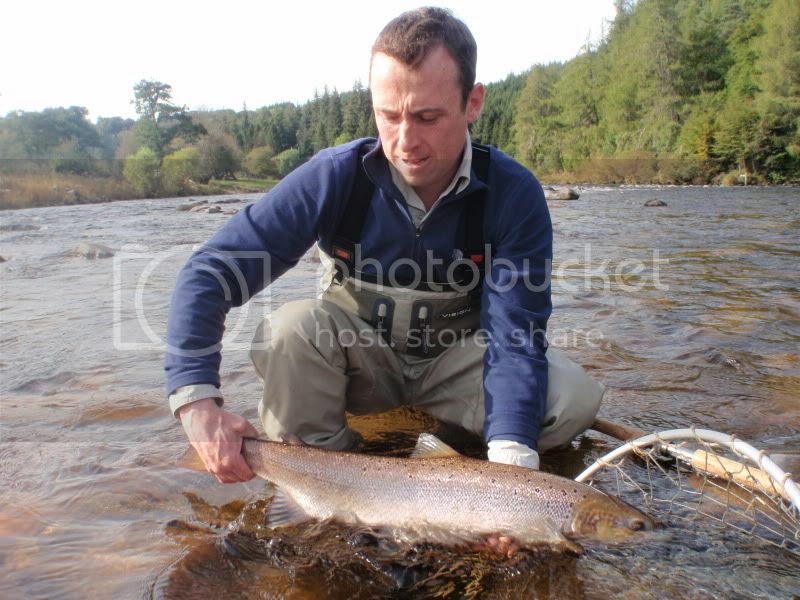 2) I see prescious little evidence on the river bank in whole or part, that Grant's dedicated, some would say manic, approach to salmon fishing is "standard" that is a shame in one sense, but not surprising. Those who knew him rated Grant as the finest salmon fisher of his generation. I am fortunate enough to fish from time to time with the man considered by many very experienced eyes to be the finest salmon fisher of this generation, and the parallels in approach between the two are striking. Some interesting points there CLaG. 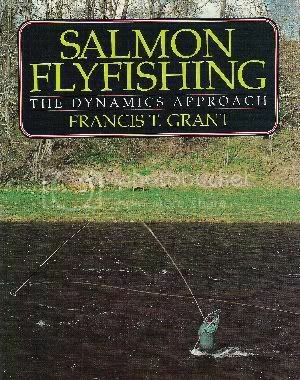 17 years is a long time - rivers, tackle, flies & techniques have all changed (to varying degrees), yet I can't think of a more recent good/classic book on salmon fishing in the UK. 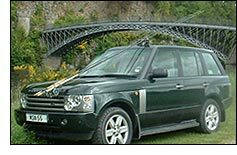 I think a contemporary salmon fishing book would be well received, but we don't seem to have as many 'big name' anglers around as we used to. I suppose it's harder to catch the oft quoted 1000+ fish needed to qualify one as a respected author. I cannot remember fishing with you. I'm currently reading this book courtesy of an inter-library loan. Grant was obviously a very intelligent guy, someone who definitely was well ahead of his time, who caught more than his fair share of Salmon. He seems to have died quite young - does anyone know what happened to him?